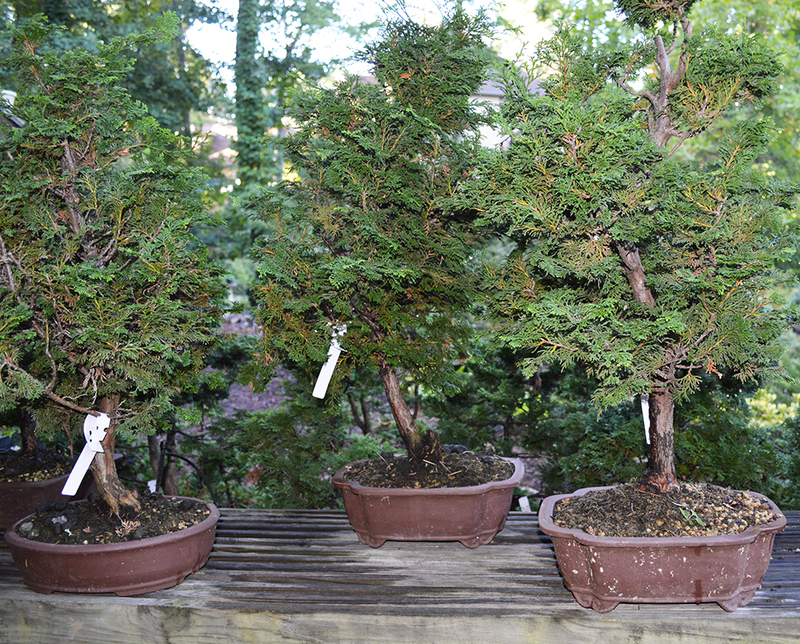 Hinoki Cypress have a graceful branching pattern and retain their dark green foliage the entire year, so they always look impressive. They like sun and need to be watered well, but not sitting in a water logged environment. 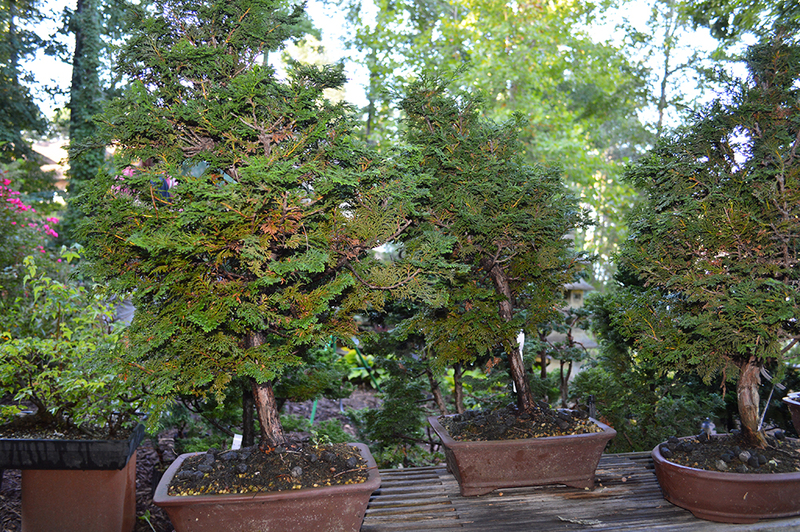 We handpicked these trees out of a large selection to get the best ones for this workshop. 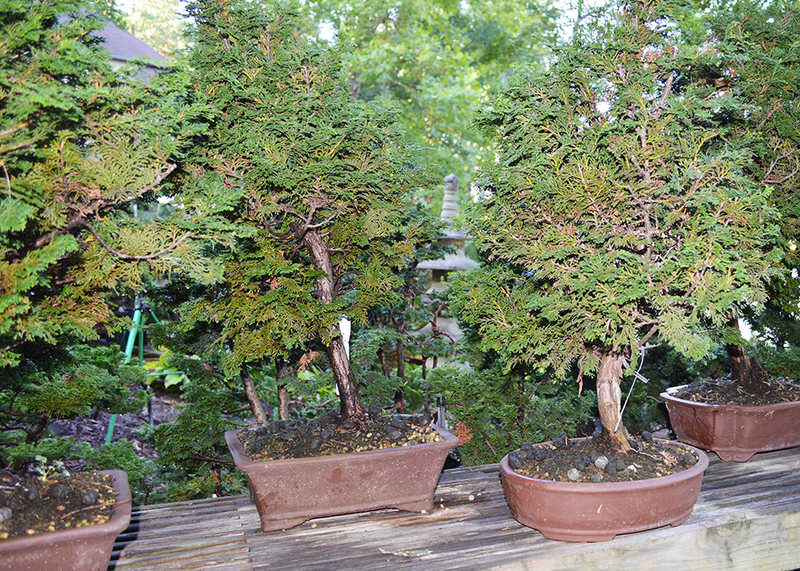 They are roughly 1 1/4″ trunk and will top out at about 24″. 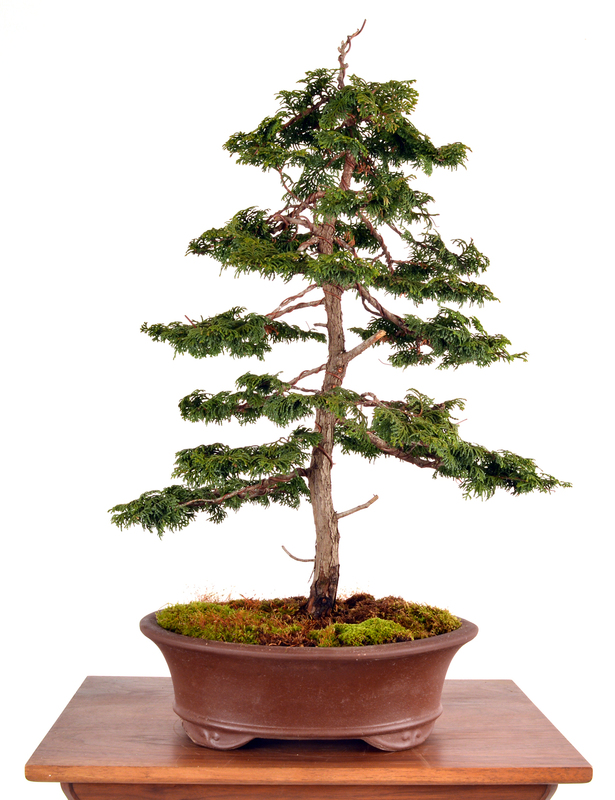 We already potted these up last year, so at the end of the workshop you will have a styled, potted Hinoki to add to your collection. This tree and workshop offers an excellent opportunity for beginners and through more advanced as each person can focus on styling and detail wiring at their own level.